White tablecloth festival idea is: common table setting and celebration, honor the historic event mostly 100 years after the Latgale decision to merge with Kurzeme and Vidzeme and becoming an independent country and find conclusions for future. Measure call upon at being together at the same table, retaining an easy, common meal and conversation, singing, dancing, watching films and old photography, highlighting the most important events of their neighborhood and honoring personalities; ancient traditions, intangible, including identification of the culinary heritage. A possibility to come together to discuss the idea of his yard, neighborhood, city, region, country. Just get acquainted with their peers and neighbors, strengthening relations and promoting Latvian positive international recognition. 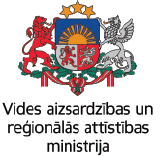 The main idea of the event is to strengthen the citizenship in Daugavpils district in the designated Lithuanian village Turmantas. The place chosen for this event is Zemgale station (Zemgale village, Demene parish). As the population declined the need for a railway station disappeared. Changing times also changed the use of premises. Currently, nowadays the station building is used as a prayer house, fulfilling such important spiritual functions for the population. During the event, workshop of the table-laying tradition is planned, which will allow people to express themselves creatively and continue this tradition at home. Latvians must definitely maintain the traditions and skills what strengthen to belonging to his country. We believe that if citizens know their family roots, tradition it is possible that they stay there and continuing create environment around them. Its distinctly, that in deprived territories people also need come together get to know their neighbors and relax together. The Zemgale village has two types of buildings, as well as three-tier houses and messuage (seldom hosted farms), therefore, it is important to develop activities aimed at community livelihood by promoting active participation in the county’s life: to work in non-governmental organizations, colleges of amateur arts and training organized by the cultural administration and the municipality. All residents and guests of the parish are invited to the event, which allows creating a communication network and popularizing people activities in different collectives. Clearly, this measure is focused on the sustainable communication.